Extra driving practice outside of regular driving lessons can make a big difference to your progress as a learner driver. Not only can additional practice help to make you more confident on the roads, but also could reduce the number of lessons you need to take, potentially saving you money on driving tuition. Where many provisional learners face problems is with finding affordable insurance that provides all the protection new drivers need. Provisional licence insurance can often come with massive premiums, especially if you are added to the policy of a parent, family member or friend, pricing you out of the chance to get some much-needed practice and get on the road as much as possible. Not only will being added on to someone else's cover send their premium sky-high, but they could also be at risk of losing their no claims bonus in the event of an accident - putting pressure on you as a driver and leaving car owners dangerously unprotected. At Adrian Flux, we like to do things a little differently, and that's why we have developed our provisional learner insurance - to help people like you get the practice you need, without paying over the odds. 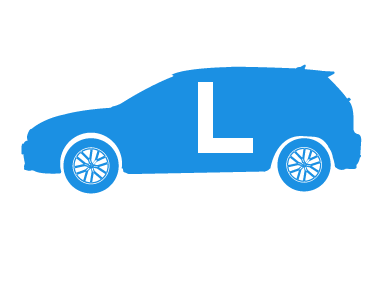 From as little as £1 per day, provisional insurance is available for any learner driver aged between 17 and 25 - providing fully comprehensive insurance for vehicles up to insurance group 30 valued at less than £30,000. Provisional driver car insurance stops automatically when the policyholder passes their driving test. For the duration of the policy the holder must have a UK provisional driving licence and be accompanied when driving by a person aged 25 or over that has held a valid UK driving licence for at least the past three years. With our decades of experience and expertise going into each quote we give, and with an expert team waiting to take your call and answer any and all questions you might have, why not get in touch today? You can contact us now by calling 0800 369 8590 free from a landline, using the callback button to arrange a good time for us to call you, or by clicking the quote button to get a quick and free online provisional license insurance quote right away.